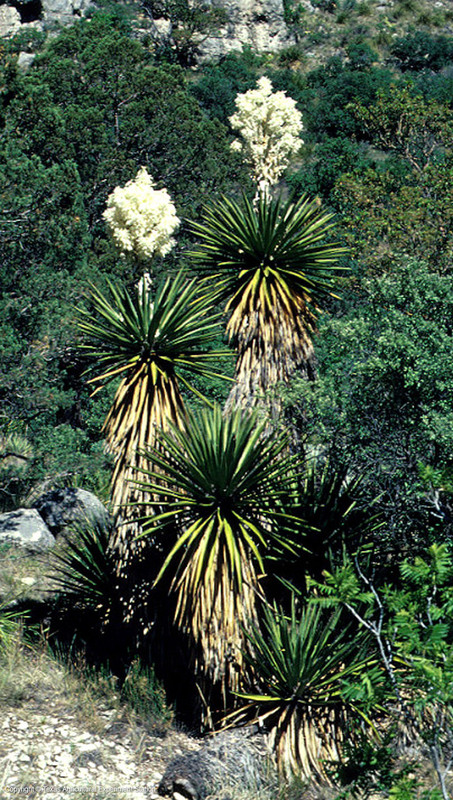 Faxon Yucca is reported by some authors to be the same as Carneros Yucca, Y. carnerosana. 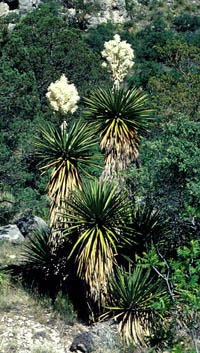 It is a large tree yucca, perhaps the largest of the native Texas yuccas, reaching 25 feet tall, sometimes up to 40 feet. They grow in far west Texas, where they often form open forests that are spectacular when in bloom in late spring or summer. The leaves are 3 feet long and 3 to 5 inches wide with stout spine tips. The trunk is covered with a dense thatch of dead leaves. They are adaptable to many soil types as long as they are well-drained.